Prussia - In the north, the Russian First (Gen Rennenkampf) and Second (Gen Samsonov) Armies faced a single German Eighth Army (Gen von Prittwitz) holding the East Prussian front. Galicia - To the south, along the 200 mile Galician front running parallel to the Carpathian Mountains and down to the Rumanian border, the bulk of the Russian forces under Gen Ivanov (Fourth, Fifth, Third and Eighth Armies) faced the Austrian First, Fourth, and Third Armies and part of the Second (all commanded by Gen Conrad von Hötzendorff). Russia's aging Baltic Fleet consisted of five pre-dreadnoughts with four dreadnoughts completing, six old armoured cruisers, four light or protected cruisers, destroyers, torpedo boats and a few small submarines. Although the German forces allocated to Baltic operations were few in number, the Imperial German Navy with its 15 dreadnoughts, five battlecruisers and other modern ships, and able to transfer at ease between the North Sea and Baltic via the Kiel Canal, was more than a match for the Russians. For nearly a decade therefore, the Russian General Staff had set the Navy the objective of defending the Russian coastline and preventing any landings aimed at capturing Petrograd. A major plank in this strategy was the laying of offensive minefields off the Russian and German coasts. These claimed many victims. Although the Russian Navy was active in the Baltic through until 1917, probably its most significant contribution to the war at sea - in all theatres - happened just 25 days after the two countries went to war with the capture of German cruiser 'Magdeburg'. Russia invaded East Prussia - The Russian offensive started on the 17th when First Army crossed the border north of the Masurian Lakes. First contact was made in the Battle of Gumbinnen and an attack on the 20th by three German corps was held. Gen Prittwitz paniced and wanted to fall back behind the Vistula River, thus abandoning the whole of East Prussia. Gen Moltke replaced him with Gen von Hindenburg, and Gen Ludendorff joined him as chief of staff. Meanwhile the Russian Second Army had crossed the border to the south of the Masurian Lakes in the Tannenberg area, making German retreat impossible. The bulk of German Eighth Army was therefore moved southwest by train from Gumbinnen. In the Battle of Tannenberg, starting on the 26th, the Germans attacked the Russians, turning both flanks, encircling them, and in just six days destroying Second Army and taking 100,000 prisoners. Austria attacked Polish Galicia - In the south of the strategically vital Russian-Polish salient, the Austrian commander Conrad took the offensive first to beat the Russian's mobilization. His main effort was to be on the west with a strong left wing consisting of First and Fourth Armies. They were to move north between the Vistula and Bug Rivers to take the Polish towns of Lublin and Kholm. Russian plans were similar, and at the Battles of Krasnik (23rd-26th) and Komarov (26th-31st) just within Poland, the Austrians almost won, but only gained tactical successes. The First Battle of Lemberg then took place through into early September. The weaker Austrian right wing on the southeast flank was in trouble with its reinforced Third Army outnumbered three to one by the Russian Third and Eighth Armies. In the Battle of Gnila Lipa River (a tributary of the Dniester within Galicia) between 26th and 30th, the Austrians were pushed back to the west of Lemberg. The Russian south or left wing was now in a position to outflank the Austrian armies fighting to the north within Poland. 26th August - German cruiser 'MAGDEBURG' (1912, 4,570t, 12-10.5cm). German light cruisers 'Augsburg' and 'Magdeburg' continued minelaying and making other sorties into the northern Baltic. Early on the 26th, in thick fog, 'Magdeburg' ran hard aground on the island of Odensholm at the southern entrance to the Gulf of Finland (59-18N, 23-21E). Escorting destroyer 'V-26' tried to tow her off, but without success. The crew attempted to scuttle, but Russian cruisers 'Bogatyr' and 'Pallada' came up and opened fire. 'Magdeburg' was only partly destroyed and the Russians recovered three sets of the main German naval codes, complete with the current key. One of the sets made its way quickly to the Royal Navy’s 'Room 40' in London. Added to other British captures, German naval codes were soon broken and gave the Allies a major advantage at sea. East Prussia - As the Battle of Tannenberg was being fought, Russian First Army (Rennenkampf) continued to push slowly into East Prussia north of the Masurian Lakes, but with the battle in the south lost by the Russians, Rennenkampf took up a defensive position. German Eighth Army (Hindenburg) moved north to face them and on the 9th in the First Battle of the Masurian Lakes made a frontal assault which was repulsed. But on the same day, the Russian's southern flank in the Lakes area was pushed back out of East Prussia, they covered their retreat with a small counter-attack on the 10th, and fell back towards the River Niemen. In the first East Prussia Campaign, two Russian Armies were broken and 300,000 men lost. Galicia - With the Russians threatening the Austrian left wing fighting inside Poland, the rest of Austria's Second Army was brought back from Serbia. In the Battle of Rava-Russkaya (6th-10th), Austrian Gen Conrad tried to outflank the Russian's Third and Eighth Armies in the south, but the gap between Austrian First Army in the north and the rest of his forces was exploited by Russian cavalry. On the 11th, Conrad ordered retirement behind the San River, and on the 16th to the Gorlice-Tarnow Line with his left flank on the Vistula River and the right in the Carpathian Mountains. The Austrians had now been pushed back 135 miles west of Lemberg, leaving all Austrian Galicia in Russian hands, the fortress of Przemysl besieged, and German Silesia threatened. The cost to the Austrians was 250,000 men dead and wounded and 100,000 taken prisoner. With Germany threatened, four German corps moved 500 miles from East Prussia to the Cracow area in Austria, just behind the Austrian defences. The relatively small German force became the Ninth Army and with Austrian support prepared to attack Poland aiming for Warsaw . Poland - Pushing north into Poland in the First Battle for Warsaw, the Germans were in sight of the Polish capital by mid-month . But the Russians had the advantage in numbers - four armies and 60 divisions against the 18 divisions of German Ninth Army and the Austrians. After heavy fighting along the Vistula to the south of Warsaw , the Germans made an orderly withdrawal to their own frontier. The Austrians were also pushed back from the San River, once again leaving behind the besieged city of Przemysl. 11th October - Russian armoured cruiser 'PALLADA' (1911, 7,800t, 2-20.3cm). Three German U-boats had been sent to patrol the waters off the Gulf of Finland. The Russians were also patrolling the area using unescorted cruisers, and apparently unaware of the hard lessons the Royal Navy was learning about the danger from submarines. Armoured cruiser 'Pallada' was hit by a single torpedo from 'U-26', her magazines exploded and the entire crew of 600 men killed. Arrival of British Submarines - The Russian Baltic Fleet had few really effective submarines and three British 'E'-class boats were ordered to make the hazardous journey into the Baltic through the Sound separating Denmark from Sweden. During the attempt in mid-month, 'E-11' (Lt-Cdr Naismith) was forced to turn back, but 'E-1' (Lt Cdr Laurence) and 'E-9' (Lt Cdr Horton of World War 2 Battle of the Atlantic fame) got through. Russia had abandoned the naval base at Libau and the British boats made their way to Reval in the Gulf of Finland, coming under the command of the Russian C-in-C. Joined in late 1915 by more 'E' boats and then by four 'C' class, the British submarines came to play an important part in stopping the German High Seas Fleet exercising freely in the southern Baltic and disrupting iron ore traffic from Lulea in Sweden. Poland - Gen Hindenburg was appointed C-in-C German forces on the Eastern Front. With the Germans outnumbered and the Austrians in the south shattered, the Russians attacked towards German Silesia on the 11th. However German Ninth Army (Gen von Mackensen) had concentrated between Thorn and Posen on the northeastern border of the Polish salient, and attacked the flank of the Russian advance from Poland into Silesia. In the Battle for Lodz. the German drive almost succeeded, and Mackensen moved at least 50 miles by mid November, exploiting a gap between Russian First and Second Armies, but Russian Fifth Army moved up and counter-attacked. The threat to the German forces was too great and one Corps at Lodz had to struggle against a much larger Russian force before breaking out in late November. 17th November - German cruiser 'FRIEDRICH CARL' (1903, 9,700t, 4-21cm). On her way to bombard Libau, armoured cruiser 'Friedrich Carl', serving as a coastal defence ship, sank on two mines in a Russian field laid by destroyers, west-southwest of Memel (54-41N, 20-11E). The shelling of Libau by other cruisers went ahead. 30th November - German large torpedo boat 'S-124' (1904, 470t, 3-5cm, 3-45cm tt) sinks in collision with Danish steamer 'Anglodane' off the German Baltic coast (55-22N, 12-11E). She was salvaged, and broken up at Kiel in 1915. Poland - In the Second Battle for Warsaw, the Russians pulled back from Lodz and on the 6th, the Germans moved in as major fighting ground to a halt. The German moves into southwest and then northwest Poland were only partly successful, but had smashed the Russian Silesian offensive and removed any threat to Silesia for the rest of the war. By the end of the 1914, Hindenburg was receiving new troops and others transferred from the Western Front. But for now the Eastern Front was quiet. In the north, the Germans held the western part of Poland including Lodz (but had not reached Warsaw), regained all East Prussia, and taken the southern part of the Russian Baltic provinces. In the south, Austrian Galicia remained in Russian hands. 12th December - Russian destroyers 'ISPOLNITELNI' and 'LETUCHI' (1906, 400t, 2-45.7cm tt). The two 'Lovki' class destroyers were lost in a snow storm off Odensholm during a planned minelaying operation southwest of Libau. 'Ispolnitelni' sank after one of her own mines explodes, and 'Letuchi' capsized trying to rescue the crew. Few if any men survived from the two ships. Russian Front - German Gen Hindenburg pushed for a strategy of victory in the East, and in mid-month the Kaiser agreed to send four new German corps to reinforce the Eastern front. Hindenburg and the Austrian Conrad were to launch separate offensives from East Prussia and the Carpathians. German forces included the new Tenth Army (Gen von Eichhorn) on the northern flank of East Prussia, further south the Eighth Army (Gen von Below), and Ninth Army (Mackensen) on the southern flank of the German line opposite Warsaw. Here they joined the Austrians - from north to south, the Second, First, Fourth, Third and Second Armies. Russian forces consisted of the Tenth Army in the north just across the East Prussian border, the new Twelfth forming northeast of Warsaw, and the First and Second around Warsaw - all facing the Germans. Opposing the Austrians were the Fifth, Fourth, Ninth, Third, Eighth and Eleventh Armies. Hindenburg's first aim was to destroy the Russian's northern Tenth Army and one of the main railway lines to Warsaw. On the 31st, to cover movements of Ninth Army elements, Mackensen attacked the Polish town of Bolimov on the railway line between Lodz and Warsaw. In the first use of gas in the war, tear gas shells were employed, but with limited effect. Their use was not reported to the Western Allies. 25th January - German cruisers 'Augsburg' and 'Gazelle' - The Russian minelaying offensive continued to take a toll of German warships and merchantmen. Light cruiser 'Augsburg' and the older 'Gazelle' were damaged in separate cruiser-laid minefields near the Danish island of Bornholm on the night of the 24th/25th. East Prussia - The new German Tenth Army attacked the Russian Tenth in the Winter Battle of Masuria between the 7th and 21st. Fighting in heavy snow, one Russian corps was lost to save the remaining three. The Russian army was out of the fight for the present with 200,000 casualties including prisoners - a tactical, but not a strategic victory for the Germans. East Prussia - In the north, the Russians were driven from East Prussia, but held the Germans on the Narew, Bobr and Niemen Rivers. Galicia - The Austrian offensive led by Third and Fourth Armies, supported by a largely German southern army made few gains, and on the 22nd, the besieged Przmesyl Fortress fell to the Russians with the loss of over 100,000 men. Through until mid April, the Austrians just managed to prevent the Russian Third and Eighth Armies breaking through the Carpathian mountain passes south and invading the Hungarian Plain. East Prussia - With fighting continuing in the south, German Gen Hindenburg launched a diversionary attack from East Prussia into Russian Lithuania and Courland. The naval base of Libau on the Baltic coast was captured in early May. Galicia - From mid March, the Austrians managed to stop the Russians breaking through the Carpathians. Now German reinforcements reached them in preparation for a major offensive. The newly formed Eleventh Army was moved from the Western Front, covered by the attack on Ypres on the 22nd, and placed with the Austrian Fourth under Mackensen's command behind the Gorlice-Tarnow gap, south of the Vistula River. Galicia - The Russians were not prepared for the coming German-Austrian offensive - the Battle of Gorlice-Tarnow. On the 2nd, a heavy bombardment started along the line of the Vistula River south to the Carpathian Mountains. By the 4th, Russian Third Army was almost wiped out and the German-Austrians broke through. As the great attack continued, the Russians were driven back from the Dunajec to the San Rivers by the 12th, and then towards Lemberg. German Gen Mackensen advanced 100 miles in two weeks. The entire Russian line was unhinged in the south and the Carpathians abandoned. Until September 1915, with few pauses, the Central Powers attacked at will, and the Russians forced to withdraw along the entire Eastern Front. 8th May - German torpedo boat 'V-107' (ex-Dutch small destroyer, 1915, 340t, 2-8.8cm, 2-45cm tt). As the Germans took Libau, 'V-107' had her bow blown off by a mine in the harbour entrance (56-33N, 20-58E), and became a total loss. Libau became an important base for the German Baltic Fleet. As the German-Austrian offensive continued along the Galician Front, and the Russians were driven back from the San River towards Lemberg, Przemysl Fortress was retaken by the Austrians on the 3rd and the German-Austrian forces regrouped. In the Second Battle for Lemberg, the city was recaptured on the 22nd. Now the Eastern Front ran from Lithuania in the north, looped around Warsaw, and with most of Galicia back in Austrian hands, continued south to the Rumanian border. Little remained of the Russian-Polish salient. 4th June - Russian minelayer 'YENISEI' (or 'Enisej', 1910, 2,900t, 320 mines). Russian minelaying operations were not without their losses. German 'U-26' (which sank armour cruiser 'Pallada' in October 1914) torpedoed and sank 'Yenisei' off the Gulf of Finland to the west of Revel (Tallinn) as she made her way to Moon Sound. 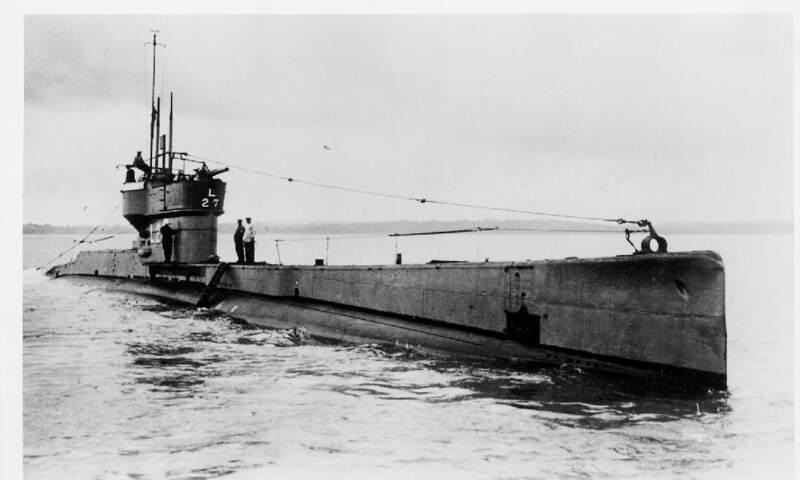 British submarine operations - As the two British submarines continued offensive patrols, 'E-9' (Horton) torpedoed and sank a German collier, and badly damaged destroyer 'S-148', to the west of Windau on the 5th. Converging attacks from the north and south were made on the Russian-Polish salient in the Third Battle for Warsaw. From the north, German Twelfth Army (Gen von Gallwitz) advanced out of East Prussia, while in the south, the German-Austrian offensive, including Mackensen's German Eleventh Army, continued. As the Russians retreated, the province of Courland on the Baltic coast was occupied and pressure put on the Polish salient from the northwest and southwest. The Russians prepared to give up Warsaw. 2nd July - German mine cruiser 'ALBATROSS' (1908, 2,200t, 288 mines, 8-8cm) and cruiser 'Prinz Adalbert' - On the evening of the 1st, 'Albatross' screened by armoured cruiser 'Roon', light cruisers 'Augsburg' (SNO, Cdre von Karpf) and 'Lubeck' with seven destroyers laid mines in the northern Baltic, south of the Aaland Islands. The same night, Russian armoured cruisers 'Adm Makarov' (flagship, Rear Adm Bakhirev) and 'Bayan', and light cruisers 'Bogatyr' and 'Oleg', followed by armoured cruiser 'Rurik' and destroyer 'Novik' sailed south to shell Memel. Diverted by wireless intelligence and Russian decoding to hunt for the Germans, they encountered 'Albatros', 'Augsburg' and three of the destroyers on the morning of the 2nd. Minelayer 'Albatros' was badly hit and beached near Ostergarn on the Swedish island of Gotland (57-25N, 18-57E) but later refloated and interned. The German 'Roon', 'Lubeck' and remaining four destroyers were then sighted by the Russians, and ships of both sides damaged by gunfire. As two more German armoured cruisers sailed to give support, 'Prinz Adalbert' was torpedoed and badly damaged by British submarine 'E-9' (Horton) north of Danzig. As the Germans advanced east and north into Russia, a strong naval force (Vice Adm Schmidt) complete with battleships stood ready on the 8th to break into the Gulf of Riga to destroy Russian naval forces and shipping, and lay mines. But first the minefields of the Irben Straits had to be cleared. Supporting them were eight dreadnoughts, three battlecruisers, light cruisers and destroyers of the High Sea Fleet under the command of Vice Adm Hipper. The minefields proved a tough obstacle, and after German minesweeping torpedo-boats 'T-52' (ex-'S-52', 1890, 150t) and 'T-58' (ex-'S-58', 1892, 150t) were sunk by mines (57-42N, 21-50E), the first attack was broken off. The second attempt was made on the 16th. A third German minesweeper 'T-46' (ex-'S-46', 1889, 150t) was also mined (57-41N, 21-50E), but further Russian attempts to interfere with minesweeping were stopped when old battleship 'Slava' was driven off by German dreadnoughts 'Posen' and 'Nassau', accompanied by three light cruisers and two destroyers. The main support force - the remaining six dreadnoughts and three battlecruisers stayed in the Baltic. On the night of the 16th/17th, German destroyers 'V-99' and 'V-100' broke through the Irben Strait to look for the 'Slava'. In a running battle with Russian destroyers, German 'V-99' (1915, 1,350t, 4-8.8cm, 6-50cm tt, 24 mines) was hit by 'Novik's' gunfire, mined twice, and with severe battle damage and 21 men dead, scuttled on the morning of the 17th in position 57-37N, 21-52E. During the day of the 17th as minesweeping continues, Russian battleship 'Slava' was hit three times by shells from dreadnoughts 'Posen' and 'Nassau', and withdrew in to Moon Sound. The Germans eventually cleared a passage through the dense minefields, and on the 19th, passed into the Gulf of Riga to attack Russian shipping. Late that night, German large torpedo boat 'S-31' (or destroyer, 1914, 800t, 3-8.8cm, 6-50cm tt, 24 mines) was mined and sunk within the Gulf of Riga off the island of Runö (57-47N, 23-05E). Earlier on the 19th, out in the Baltic west of Dago, covering German battlecruiser 'Moltke' was torpedoed in the bow and slightly damaged by British submarine 'E-1' (Lt-Cdr Laurence) in her first success with the Baltic flotilla. By the 21st, with too many ships sunk and damaged, the Germans called off the attacks and Riga was saved from bombardment from the sea. The city did not fall to the Germans for another two years. 15th August - Russian minelayer 'LADOGA' (ex-old armour cruiser 'Minin', 1878, 6,100t, c900 mines) was lost on mines laid by German 'UC-4' off the Aaland island of Oro in the northern Baltic. 19th August - British submarine 'E-13' (1915, 670t, 5tt, 1-12pdr). The Admiralty decide to reinforce the small Baltic flotilla with four more 'E'-class submarines. Sailing from the English East Coast port of Harwich on the 14th, 'E-8' got through safely on the night of the 17th/18th, but 'E-13' ran aground on the neutral Danish island of Saltholm at the southern end of the Sound late on the 18th. Next morning, two German torpedo boats appeared, including the 'G-132', and in spite of Danish Navy attempts to shield the submarine, opened heavy fire. The disabled 'E-13' (Lt Cdr Layton) was interned and only returned to the Royal Navy at the end of the war. Cdr Layton escaped back to England. Two more British boats - 'E-18' and 'E-19' - made the passage to Reval safely in September. By the end of September, German General Hindenburg had reach the outskirts of Riga in Latvia, and in the Battle of Vilna (or Vilnius), captured Vilna on the border with Lithuania. Subsequent German thrusts towards Riga and Dvinsk, both on the Dvina River were repulsed. To offset this, the Russian Baltic provinces of Courland and Lithuania had been occupied, the Polish salient eliminated, Austrian Galicia retaken, and the Russian threat to the Hungarian Plains removed. The Russian Front now ran north to south 600 miles from Riga and the Dvina River, then just short of Minsk, through the Pripet marshes and on to the Dniester River at the Rumanian frontier. The Russian C-in-C, Grand Duke Nicholas was dismissed and his nephew, the Czar assumed personal command. 4th September - German 'U-26' (1914, 670t, 4-50cm tt, 1-8.8cm). Operating off the Gulf of Finland, and after presumably torpedoing a Russian transport to the NW of the island of Worms on the 30th August, 'U-26' disappeared. Her previous victims included armour cruiser 'Pallada' and minelayer 'Yenesei'. She was believed to have been a victim of mines to the west of the larger island of Dago (c 59-40N, 23-50E) around the 4th September. British submarine successes - The few Russian and British submarines had been sent out to attack shipping between Germany and Sweden. The British boats scored their greatest successes of the war in the Baltic. On the 3rd, the first German merchant ship victim - 'Svionia' - was sunk by the gunfire of 'E-19' (Cromie) off Sassnitz in the western Baltic. Over the next three weeks, another nine vessels, mostly ore-carriers went down mainly to gunfire or scuttling by 'E-8' (one ship), 'E-19' (five ships) off the Swedish island of Oland, and 'E-9' (three ships) further north off Norrkopping. 15th October - German large torpedo boat 'T-100' (or 'S-100', 1901, 390t, 3tt) was lost in collision with the 2,900grt railway ferry 'Preussen' off Sassnitz on the German coast (54-30N, 13-43E). 23rd October - German armoured cruiser 'PRINZ ADALBERT' (1904, 9,700t, 4-21cm) sole sister ship of the 'Friedrich Carl' lost on mines in November 1914, was also sunk in the Baltic. In July three months before, 'Prinz Adalbert' was badly damaged by a torpedo from Lt Horton's 'E-9'. On the 23rd October as the escorted cruiser sailed into Libau on her first cruise, she was attacked by Lt Cdr Goodhart's 'E-8'. Hit in a magazine by one torpedo, she exploded and sank with the loss of 672 crew (56-33N, 20-28E). German heavy warships withdrew from the Baltic as the British flotilla continued to attack the Swedish iron ore trade. 7th November - German light cruiser 'UNDINE' (1904, 2,700t, 10-10.5cm). British submarines continued their 1915 successes. On patrol in the western Baltic, 'E-19' (Lt Cdr Cromie) hit 'Undine' with two torpedoes, sinking her south of the southern Swedish town of Trelleborg (54-59N, 13-51E). 25th November - German light cruiser 'Danzig' was badly damaged in a newly-laid Russian minefield south of the Swedish island of Gotland. 28th November - Russian submarine 'AKULA' (c1911, 370t, 4-45.7cm tt and 4 drop collars). Three days after the mine damage to the German 'Danzig', 'Akula', herself on a mining mission was probably sunk in a German minefield in the area off Libau. By the end of the year, with Riga in the north threatened, half the Russian Baltic provinces and all Poland lost, and the hard-won gains in Austrian Galicia retaken by the Central Powers, Russia counted the cost. Although Russian casualty figures are hard to confirm, over two million men had been killed, wounded or taken prisoner. 17th December - German light cruiser 'BREMEN' (1904, 3,760t, 10-10.5cm) and large torpedo boat 'V-191' (or destroyer, 1911, 650t, 2-8.8cm, 4-50cm tt). A Russian minefield off German-occupied Courland between Windau and Lyserort accounted for three German warships in December. On the 17th, cruiser 'Bremen' and destroyer 'V-191' went down, both in position 57-31N, 21-24E. (Some sources report both ships torpedoed by British submarine 'E-9'). 23rd December - German large torpedo boat 'S-177' (or destroyer, 1911, 650t, 2-8.8cm, 4-50cm tt). Six days later, the same Russian minefield off Courland accounted for 'S-177', same class as 'V-191' in position 57-30N, 21-27E. 13th January - German light cruiser 'Lubeck' was damaged mid-month in a Russian minefield in the middle of the southern Baltic, between Danzig and the island of Gotland. War at Sea - With the northern Baltic frozen, few naval operations were possible over the next two months. By now, the Russians had replaced the men lost in the defeats of 1915, and the French were appealing to the Czar to launch an offensive against the Germans to help relieve the pressure on Verdun. Starting on the 18th, an assault was made in the north in the Battle of Lake Naroch (east of Vilna) by Russian Second Army. Shortly over, the battle ended with 100,000 more Russian casualties for no gains. Now there was a pause as the Russians prepared for a major offensive later in the year, but again events in the west led to premature attacks being launched in June 1916. The Russian offensive near Lake Naroch in the north petered out. 23rd May - Russian submarine 'SOM' (ex-'Fulton', 1904, 105t, 1-38.1cm tt). In the northern Baltic off the Aaland Islands, the old Russian boat was lost in collision with Swedish steamer 'Angermanland'. 24th May - British submarine 'E-18' (1915, 670t, 5tt, 1-12pdr). On the 24th or sometime after, the first of the British boats were lost in action within the Baltic. Accounts vary. Some sources show 'E-18' sunk off Bornholm in the south by German decoy or Q-ship 'K'. Others that she went on to torpedo and damage German destroyer 'V-100' off Libau, and on her return in late May/early June, was lost in a German minefield, perhaps west of the island of Osel. 27th May - German 'U-10' (1911, 490t, 4-45cm tt). Leaving for patrol on the 27th, 'U-10' went missing. She was assumed lost on Russian mines off the Gulf of Finland, possibly north of the island of Dago (c 59-30N, 21-00E). Following the Austrian offensive into Italy in May and an Italian appeal for aid, the Russians launched a premature offensive south of the Pripet Marshes aimed at Galicia in what turned out to be their last great action of the Russian Front - the Brusilov Offensive. It was led by Gen Alexei Brusilov with the Southwest Army Group of Eighth, Eleventh, Seventh and Ninth Armies (50 divisions) against four largely Austrian Armies (46 divisions including some German) on a 200 mile front down to the Rumanian border. A surprise attack was launched on the 4th near Dubno to the north and, further south, near the Dniester River. By next day, the flanking Austrian Fourth Army in the north and the Seventh Army in the south were close to collapse. By late June, both Austrian Armies had been routed and the Russians were approaching the passes through the Carpathian Mountains. German divisions were brought from other sectors of the Eastern Front as well as the Western Front (weakening the attack on Verdun) to stop the threatened breakthrough. Austrian divisions were also brought back from the Italian Front thus ending that drive. As the defences stiffened, the Russians struggled ahead into July, August and through to September, but at heavy cost. The great Brusilov Offensive into Galicia continued in the south, but made limited progress. 15th August - German large torpedo boat 'V-162' (coastal defence vessel, 1909, 640t, 2-8.8cm, 2-50cm tt). Dense Russian minefields in the Irben Strait guarding the southern passage into the Gulf of Riga continued to take a toll of warships. Screening minesweeping operations, 'V-162' went down off Lyserort (57-35N, 21-35E) on the Courland coast. 21st August - Russian destroyer 'DOBROVOLETZ' (1906, 570t, 2-10.2cm, 3-45.7cm tt) was lost six days later in the Irben Straits on a Russian mine while on a laying operation herself. The Brusilov Offensive into Galicia finally came to an end. The Russians had helped relieve the pressure on the Allies on both the Western and Italian Fronts, and cost the Austrians and Germans over 600,000 casualties, including 400,000 Austrian prisoners. But the price paid by Russia was too great - one million casualties, broken morale, and a nation ready for revolution. 28th October - Russian torpedo boat 'KAZANETS' (or destroyer, or 'Kazanec', 1905, 580t, 2-11pdr, 3-45.7cm tt). German submarines had concentrated on minelaying in the Gulf of Finland. On the 28th, the old destroyer 'Kazanets' sank on a mine laid by 'UC-27' off Odensholm at the southern entrance to the Gulf. On the 5th November, German and Austria announced that an independent Polish state would be established. On the 21st, Franz-Joseph, Emperor of Austria and King of Hungary died at the age of 86. He was succeeded by his grand-nephew, Charles I, destined to see the break-up of the Austro-Hungarian Empire in less than two years. 7th November - Russian destroyer 'LETUN' (1916, 1,260t, 4-10.2cm, 9-45.7cm tt). German submarine-laid mines in the Gulf of Finland continued to account for Russian ships, one to the successful 'UC-27'. On the 7th, newly completed destroyer 'Letun' was badly damaged north of Reval, laid up and not recommissioned. 10th/11th November - German large torpedo boats 'V-75', 'S-57', V-72', 'G-90', 'S-58', 'S-59', 'V-76' (or destroyers, all 1916, 920t, 3-8.8cm, 6-50cm tt, 24 mines). Ships of the 10th Torpedo boat Flotilla suffered even more heavily from Russian mines - seven out of eleven new vessels lost during an attack on shipping in the Reval area. On the way into the Gulf of Finland, late on the 10th, 'V-75' sank and the damaged 'S-57' was scuttled. An abortive attack was made on Baltic Port, and as they returned, 'V-72', 'G-90', 'S-58', 'S-59' and 'V-76' were sunk early on the 11th, although casualties were light (all at c 59-23N, 22-30E). Russia - Grigori, Rasputin (the 'vagabond' or 'drunkard'), who exerted such influence over the Czar's wife and thus the Czar, was assassinated by court nobles. This, together with food shortages, the huge casualty lists from the front, and the Czar's unwillingness to liberalize the government, increased tension within Russia and led to demonstrations and strikes in the early months of 1917. Scattered fighting continued over the next three months around Riga, in northern Galicia, and at Bukovina to the north of Rumania. British submarines reinforcements - Four more smaller 'C' class submarines - 'C-26', 'C-27', 'C-32' and 'C-35' - reached the Baltic to join the four surviving 'E' boats under Cdr Cromie, senior officer since early 1916 when Cdrs Horton and Laurence returned home to Britain. Arriving by sea at Archangel in the north of Russia, the 'C' boats travelled overland to the Gulf of Finland by canal and river. Little action on the Russian Front was reported. Russia - The 'March Revolution' followed demonstrations, food riots and strikes which paralysed the Russian capital of Petrograd (previously St Petersburg, then Leningrad, and now St Petersburg again). The Duma or parliament refused to obey the Czar's order of dissolution on the 11th, next day a provisional government was formed, and the revolt spread to Moscow. On the 15th at his Army headquarters in Pskov, the Czar abdicated and his brother, the Grand Duke Michael refused the crown. A few days later, the House of Romanov ended with the arrest of the Czar and his family. The revolution then became a struggle between the moderate liberals of the Duma and the Workers' and Soldiers' Councils or 'Soviets' set up by the Socialists or Bolshevists. Over the next few months, Alexander Kerensky emerged as the leader of a moderate socialist and provisional government until its downfall eight months later in November 1917. Russia - After years in exile, Lenin, the future ruler of Soviet Russia was allowed by the Germans to return home from Switzerland, travelling through Germany in a sealed train. In Petrograd he was joined by Joseph Stalin and from the United States by Leon Trotsky. The Bolsheviks prepared to continue the Russian Revolution. Russia - While the Bolshevik 'Soviets' pressed for peace with Germany and Austria, the provisional Russian government remained committed to pursuing the war on the side of the Allies. Alexander Kerensky, now appointed Minister of War, prepared for an offensive in July under the command of Gen Brusilov. 28th May - Russian submarine 'BARS' (1916, 650t, 4-45cm tt and 4 drop collars, 1-6.3cm). Sailing from the Gulf of Finland in mid-May with other Russian submarines for operations off the Swedish coast, 'Bars' was lost, probably near Norrkopping to the south of Stockholm. The cause may have been mines or German depth charge attack on the 28th. Russian sources suggest she may have been rammed and sunk in error at an earlier date (the 21st) by a Russian destroyer off the Russian island of Dago. c 11th/14th June - Russian submarine 'LVITSA' (or 'Lvica', 1916, 650t, 4-45.7cm tt and 4 drop collars, 1-6.3cm). As British submarines concentrated on reconnaissance patrols off the Baltic coast and in the Gulf of Riga to forestall German moves towards Petrograd, the Russian boats continued the trade war against the now well-protected Swedish ore convoys. 'Lvitsa', sister to 'Bars' lost in late May, went missing at this time. She may have gone down to German surface craft attack on the 11th, or mines around the 14th to the south of Gotland. On the 1st, Russian Gen Brusilov launched the Kerensky Offensive into Galicia, but with little chance of success. Workers' and Soldiers' Soviets controlled many army units and discipline broke down. However the attack wnet ahead with the least affected troops including Poles, Finns and Siberians. The Russian Eleventh, Seventh and Eighth Armies with some 40 understrength divisions pushed for Lemberg against exhausted Austrian and some German and Turkish forces. Little progress was made against the Germans, but Russian Eighth Army (Gen Kornilov) facing Austrians in the south advanced 20 miles. On the 19th, the Central Powers with some German divisions rushed from the Western Front, launched a counter-offensive. Within a matter of days and with thousands of Russians deserting, the Front crumbled. With little serious fighting, the Russian retreat turned into a rout and the Germans and Austrians advanced at will. Russia - The offensive was failing by mid-month, and Lenin led a Bolshevik rising in Petrograd which was soon crushed. On the 22nd, Kerensky was appointed Prime Minister of the Provisional Government. Finland announced its independence from Russia. 6th July - Russian submarine 'AG-14' (1916, 355/430t, 4-45.7cm tt, 1-4.7cm). For the third month running a Russian submarine gwnet missing in uncertain circumstances operating against German shipping. The brand new 'AG-14' was presumed lost off the German-occupied port of Libau around this date, probably on mines. As pressure to end the war grew in Russia, the Central Powers attacked the Russians as well as the Rumanians in Moldavia at the southern end of the front. Towards the end of the month, the Germans started the Riga Offensive in the north. 12th August - Russian torpedo boat 'LEITENANT BURAKOV' (or destroyer, 1907, 350t, 2-11pdr, 2-45.7cm tt), in use as a despatch vessel was lost on a mine laid by German 'UC-78' of the Aaland Islands in the northern Baltic. 21st August - Russian destroyer 'STROINI' (also 1907, 350t, 2-11pdr, 2-45.7cm tt). 'Stroini', screening a minelaying operation in the Irben Straits, ran aground in the Gulf of Riga off the southern Osel port of Zerel. Badly damaged in a German seaplane bombing attack, salvage attempts were abandoned. Continuing the Riga Offensive, and partly to force the Russians to the negotiating table, German Eighth Army (Gen Oskar von Hutier) crossed the Dvina River and captured the important seaport of Riga on the 3rd against little resistance. The badly beaten Russians withdrew as the Germans prepared to send in amphibious forces to capture the islands at the entrance to the Gulf of Finland, and thus threaten Petrograd. The Great War is remembered for its trench warfare, but German Gen von Hutier broke the mould using night approach marches, short heavy opening bombardments, rolling barrages, infiltration and specialised combat units. 'Hutier' tactics were used with great success in 1917 against the Italians at Caporetto and in the 1918 Second Battle of the Somme. Russia - Following an attempted coup by Gen Kornilov, dismissed from his position as Russian C-in-C, Prime Minister Kerensky declared a Russian Republic under his leadership. 26th September - Russian destroyer 'OKHOTNIK' (1906, 615t, 2-11pdr, 2-45.7cm tt) was sunk off Zerel in the Irben Strait in possibly the first such success of its kind. She blew up on a mine laid by a German aircraft. Amphibious landings were made by German forces on the Russian-held islands blocking the entrances to the Gulf of Riga, partly to trap units of the Russian Navy. In this they were only partially successful and ships on both sides were lost or damaged. The islands, from north to south are present day Estonian Vormi (Worms), Hiiumaa (Dago), Muhu (Moon) and Saarema (Osel). Osel with heavy shore batteries at the southern point of Zerel prevented the Germans from breaking through in to the Gulf, while Moon Island to the north guarded the only other possible exit for the Russians. German naval forces, the greatest concentration of the war in the Baltic included ten dreadnoughts, plus cruisers, destroyers and minesweepers with air support. The Russians included two pre-dreadnoughts, cruisers and three small British 'C'-class submarines, including 'C-27' and 'C-32'. Arriving off Osel Island on the 12th, the German dreadnoughts bombarded the coastal batteries before putting troops ashore for an advance on the town of Arensburg in the east. The only damage at this time was to dreadnoughts 'Grosser Kurfurst' and 'Bayern' from mines. To the north, light forces clashed as the Germans attempted to approach Moon Island through the passage separating Dago and Osel Islands. By the 14th, German land forces had crossed Osel, cutting off Zerel in the south. Both sides now concentrated on the struggle for the more northerly Moon Island area and the Germans brought up heavy warships to support the light naval forces. During the day dreadnought 'Kaiser' hit Russian destroyer 'GROM' (1915, 1,260t, 4-10.2cm, 9-45.7cm tt), which was further damaged in action with German destroyers before sinking. However the Russians still controlled one of the northern exits from the Gulf of Riga. Meanwhile, German minesweepers started to clear the Irben Straits in the south to allow heavy units to break through to the Gulf, but operations were held up by the Russian's Zerel batteries still holding out at the south end of Osel. These were captured next day on the 15th, leaving only mines as the remaining obstacles. With Osel Island in German hands and the Irben Straits minefields cleared, heavy German ships entered the Gulf of Riga on the 16th. As they headed north for Moon Island, British submarine 'C-27' torpedoed and badly damages a support ship. On the 17th, the Germans approached the southern end of Moon Island and the entrance to Moon Sound. Dreadnoughts 'Konig' and 'Kronprinz' opened fire on Russian pre-dreadnoughts 'Slava' and 'Grazdanin' (ex-'Tsesarevitch') respectively. Both were hit, 'Slava' heavily. The old Russian armoured cruiser 'Bayan' was also badly damaged by a 30.5cm (12in) shell from 'Konig'. Flooded and with her draught too great to escape, 'SLAVA' (1905, 13,500t, 4-30.5cm) was scuttled in shallow water and finished off by torpedoes from Russian destroyer 'Turkmenets Stavropolski'. Retreating north, the Russians continued to lay defensive minefields in the vicinity of Moon Island and just after midnight on the 17th/18th, German destroyer 'S-64' (1917, 920t, 3-10.5cm, 6tt, 24 mines), approaching Moon Sound from the north hit one and sank in position 58-43N, 23-24E. The Russians evacuated Moon Island on the 18th as the Germans land, and next day Dago Island was also occupied. By the 20th, surviving Russian ships had slipped past Worms Island and made for bases in the Gulf of Finland. 24th October - British submarine 'C-32' (1909, 290t, 2-18in tt) stranded on a mudbank near Pernau on the north-eastern side of the Gulf of Riga. She was abandoned and blown up by her crew. According to Greger, she unsuccessfully attacked a German auxiliary on the 20th and was damaged by the resulting depth-charges before being run aground. 29th October - Russian submarine 'GEPARD' (1916, 650t, 4-45cm tt and 4 drop collars, 1-6.3cm) was lost around this time. On patrol with other Russian and British submarines off the Gulf of Riga and the outlying islands, she was reported on this date to the northwest of Windau. She may have been mined at this time or later off Osel on the way home. 29th October - German 'U-52' sank in dock in Kiel after a stern torpedo exploded. She was raised in October and returned to service. Russia - On November 7th/8th, the Russian Revolution ('October Revolution' in the old Gregorian calendar) started with Lenin's Bolsheviks seizing the Winter Palace, the place of government in Petrograd. Prime Minister Kerensky escaped and a Bolshevik government formed with Lenin as Premier and Trotsky as Foreign Minister. The Revolution spread quickly and Russia was soon in chaos as Civil War erupted between the 'Reds' and 'Whites'. The Bolsheviks immediately took steps to get Russia out of the war. 19th November - German coastal minelayer 'UC-57' (1917, 420/490t, 18 mines, 3-50cm tt, 1-8.8cm). As the naval war between Germany and Russia came to an end, warships were still lost to the many mines laid by both sides. Sometime around the 19th, 'UC-57' was presumed mined off the Estonian coast in c 59N, 23E. 27th November - Russian torpedo boat 'BDITELNI' (or destroyer, 1906, 380t, 2-11pdr. 3-45.7cm tt). Further north of 'UC-57’s' last reported position, 'Bditelni' was lost on a mine laid by German 'UC-78' or 'UC-58' (accounts vary) off the Aaland Islands guarding the entrance to the Gulf of Bothnia. A preliminary suspension of hostilities between the Central Powers and Russia was announced on the 5th December, which Rumania soon followed. An armistice followed on the 15th, and Germany started to release troops for transfer to the Western Front. On the 22nd at Brest-Litovsk, to the east of Warsaw, the Russians met with delegates from Germany, Austria-Hungary, Bulgaria and Turkey to arrange peace terms. These included Russian recognition of the rights of Poland and agreement to the independence of the Baltic provinces of Lithuania, Courland, Livonia and Estonia. With the Germans occupying most of these territories, the Russians had little option but to accept, although negotiations dragged on into the new year. As the Russian Civil War developed, Ukraine refused to join with the Bolsheviks, and Finland declared its independence from Russia. 7th December - German medium submarine 'UB-84' sank off the German coast following a collision. She was raised and returned to service as a training boat. Trapped British submarines - With Russia and Germany negotiating and with no hope of leaving the Baltic, the surviving British submarines sailed for Helsingfors (Helsinki) in Finland. The crews were ordered home and the boats left with a small care and maintenance party. Russia - Expecting revolution to break out in Germany, the Russian Bolshevist delegates at Brest-Litovsk continue stalling and Foreign Minister Trotsky refused to meet the terms of the Central Powers. The German Foreign Minister, Baron Richard von Kuhlman increased the pressure. Finland was not spared the agonies of Russia, and civil war began at the end of the month. Ukraine declared its independence from Russia and the Russian Bolsheviks, a move shortly recognised by Germany and her allies. Austria-Hungary - Partly due to food shortages, strikes broke out in Austrian cities in favour of peace. Russia - On the 9th, a peace treaty was signed between the Central Powers and the newly independent Republic of the Ukraine. The next day and simply refusing to accept any terms, the Russian Bolshevist government just declared the war was at an end. On the 18th, the frustrated Germans started to advance into Russia against little opposition. Troops soon occupied the Baltic provinces and later moved into the Ukraine and Crimea. As the German advance endangered Petrograd, Lenin moved the capital to Moscow. Elsewhere the Civil War continued to rage. Moscow was threatened by the Whites, and the rest of Russia was in chaos. Far to the east in Siberia, the Japanese planned a landing to protect huge quantities of stock-piled military supplies. 25th February - Russian submarine 'EDINOROG' (1916, 650t, 4-45.7mm tt and 4 drop collars, 1-6.3cm). Previously damaged by stranding and now temporarily repaired at Reval, 'Edinorog' foundered in tow across the Gulf of Finland to Helsingfors (Helsinki). Treaty of Brest-Litovsk - Under the terms of the treaty signed between Russia and the Central Powers on the 3rd, European Russia lost 25 percent of its territory and much of its industrial and natural resources - the Baltic provinces, Finland and the Aaland Islands, the Ukraine to independence or semi-independence; and to Turkey, the southern Caucasus districts of Erivan, Kars and Batum. The Ukraine became a German puppet state; German forces shortly landed on the Aaland Islands, and on the 7th Germany and Finland signed a peace treaty. Germany was now able to start transferring large numbers of troops from Russia to the Western Front. Russian Civil War and Allied Intervention - The Russian Civil War continued. The Allies for various reasons, including keeping Russia in the war and the fear of world communism, intervened in the struggle. Troops and supplies were later sent to support the White Armies (commanded by Czarist officers) fighting the Reds in the Arctic, the Ukraine, Caucasus and Siberia. The anti-Bolshevist forces included the 'Czechoslovak Legion', made up of deserters and ex-prisoners of war from the Austro-Hungarian army which fought its way across Siberia and later joined the Allies in the west. The war ended in 1920 in the Bolsheviks favour, and by then a number of major warships on both sides had been lost. Arctic Waters - With the signing of the Brest-Litovsk Treaty, British warships including pre-dreadnought 'Glory' and armoured cruiser 'Cochrane' started operations against Murmansk and Archangel to prevent vast quantities of Allied supplies falling into Bolshevik or German hands. 15th March - German medium submarine 'UB-106' was accidentally sunk off the German coast, but raised three days later. Russia - Russia continued in a state of chaos. In the north, German troops landed near Helsinki to help Gen Mannerheim fight for Finnish independence against Bolshevik forces. In the south, the Germans pushed further into the Ukraine and the Crimea. 4th-8th April - British submarines 'E-1', 'E-8', 'E-9', 'E-19' (all 1913/15, 655t, 4tt and 1-12pdr), and 'C-26', 'C-27', 'C-35' (1909/10, 290t, 2tt). With the Germans ashore at Hango in Finland and moving on Helsingfors, the surviving submarines of the British Baltic Flotilla were taken to sea one at a time, blown up and scuttled off the port. Between the 4th and the 8th, 'E-1', 'E-8', 'E-9', 'E-19' and 'C-26', 'C-27', 'C-35' were denied to the Germans in this way. The senior officer, Cdr Cromie became de facto British ambassador at Petrograd, but was killed in an incident involving the Bolsheviks at the embassy. Far Eastern Waters - Japanese and British Royal Marines landed at Vladivostok in the Far East. British forces including a Royal Marine detachment, all under the command of Gen Poole landed at Murmansk. A Royal Navy base was established as HMS 'Glory III'. 13th May - German medium submarine 'UB-114' sank in Kiel harbour during trimming exercises. She was raised and later surrendered. Russia - The Germans continued to advance into southern Russia and the Ukraine. Russia - The imprisoned Ex-Tsar Nicholas and his family were executed on the 16th by the Bolsheviks at Ekaterinburg in the Urals. Russia - Allied forces continued to enter Russia to support the Whites and protect ammunition and supplies. In the north, an Allied Expeditionary Force captured Archangel supported by Royal Navy warships. To the south, a British naval unit arrived at Baku on the Caspian Sea after travelling overland from Baghdad. And in the Far East, British, Japanese and U.S. troops landed at Vladivostok for operations in Siberia. Arctic Waters - Seized at Murmansk in July by the British Navy, the old Russian five-funnelled light cruiser 'Askold' was commissioned as HMS Glory IV and continued to serve in the Arctic. Russia - American troops landed at Archangel in the Arctic. Austria-Hungary - As the Austro-Hungarian Empire approached its end, the United States recognised the Czechoslovaks as an allied nation. Austria-Hungary invited the belligerents to discussions on peace, but the proposals were rejected by the Allies. 5th September - German coastal minelayer 'UC-91' was sunk in collision with SS 'Alexandra Woermann' off the German coast. She was raised and repaired. Russia - In the north, Allied forces battled with the Bolsheviks around Murmansk and Archangel. In the Far East, American, British and Japanese troops entered Siberia and pushed as far west as Lake Baikal. More fighting took place around the Caucasus in the south. Arctic Waters - Fighting took place along the Dvina River, south of Archangel with the involvement of light naval forces. Austria-Hungary - On the 3rd, Austria-Hungary accepted an Allied armistice and withdrew from the war. 26th December - Bolshevik destroyers 'SPARTAK' (ex-'Kapitan I Ranga Miklucha-Maklai') and 'AVTROIL' (1916, 1,350t, 5-10.2cm, 9-45.7cm tt). On the 26th/27th, these two modern destroyers bombard the Estonian port of Reval in the Gulf of Finland. Captured by a British squadron of light cruisers 'Calypso' and 'Caradoc' and four destroyers, they were later handed over to the Estonian Navy. Caspian Sea - On the 8th, Bolshevik light naval forces were in action with the British units that reached Baku in August. Russia - Guns and guns’ crews landed from the 'Kent' at Vladivostok were by now in action far to the west in the Urals in support of the White Russians. 21st May - Bolshevik destroyer MOSKVITYANIN (1906, 570t, 2-11pdr, 3tt). The Bolsheviks organised a naval force including old destroyers transferred from the Baltic for operations on the inland Caspian Sea. In action against an improvised British Caspian Flotilla armed with 4in and 6in guns to the northeast off Alexandrovsk, several Russian ships were sunk including the 'Moskvityanin'. 24th June - British minesweeper 'SWORD DANCE' (1918, 290t, 1-6pdr). As Allied operations continued against the Bolsheviks on the Dvina River, south of Archangel, the shallow-draught 'Sword Dance' was sunk by Russian mines. 4th June - British submarine 'L.55' (1918, 960t, 6-21in tt, 2-4in). With the British Baltic Squadron blockading the Bolshevik naval base of Kronstadt on Kotlin Island laying off Petrograd, warships on both sides were lost. On the 4th (some accounts say the 9th) 'L-55' was in action with Russian patrols and sunk by the gunfire of destroyers 'Azard' and 'Gavriil'. She is later raised and commissioned into the Soviet Navy as 'L-55' (below - sister boat L.27, Navy Photos). 16th/17th June - Bolshevik light cruiser 'OLEG' (1904, 6,600t, 16-5.1in). British light forces based on the north side of the Gulf of Finland in Finnish waters sailed to attack Kronstadt. Evading the protecting destroyer screen, coastal motor boat 'CMB-4' (Lt Agar) armed with a single 14in torpedo, sank the anchored 'Oleg' during the night of the 16th/17th, but most of her crew were saved. 'CMB-4' escaped safely under heavy fire. Lt Augustine Agar RN was awarded the Victoria Cross. 3rd July - British minesweeper 'FANDANGO' (1918, 290t, 1-6pdr). In operations on the Dvina River, 'Fandango', sister ship of 'Sword Dance' lost a few days before, was also mined and sunk. 16th July - British fleet sweeping sloops 'GENTIAN' and 'MYRTLE' (both 1916, 1,250t, 2-4.7in). With the Bolshevik bases defended by dense minefields, two more British ships were lost on mines in the Gulf of Finland. 17th/18th August - Attack on Kronstadt Naval Base - Late on the 17th, eight British 55ft type Coastal Motor Boats led by Cdr Claude Dobson in 'CMB-31' headed out of the Finnish base of Bjorko Sound only 30 miles from Russia's main naval port. Supported by RAF bombing raids, they broke into the inner harbour in the early morning. Cdr Dobson directed the boats headed by CMB's '31', '79' and '88', while Lt Agar VC in 'CMB-4' remained outside on guard. As the attacks developed, old armoured cruiser 'PAMIAT AZOVA' (1890, 6,000t) serving as submarine depot ship 'Dvina' was hit by 'CMB-79' and sunk. In the rapidly moving action, 'CMB-79' (1917, 11t, 1 or 2-18in torpedoes) was then lost. The commanding officer of 'CMB-88' was killed and Lt Steele, second-in-command took over and pressed on. Accounts vary, but both Dobson's 'CMB-31' and Steele's 'CMB-88' appear to have made one hit each on the two biggest ships. Dreadnought 'PETROPAVLOSK' (1914, 24,000t, 12-12in) sank in shallow water and was salvaged later, and pre-dreadnought 'Andrei Pervozvanny' (1908, 17,400t, 4-12in) seriously damaged. The British boats failed to hit the Russian guardship, destroyer 'Gavriil' which sank two more of the attackers ('CMB-24' and 'CMB-62' or 'CMB-67' - accounts vary. The surviving five boats escaped. Cdr Claude Dobson DSO, RN and Lt Gordon Steele RN were awarded the Victoria Cross. 1st September - British destroyer 'VITTORIA' (1,100t, 4-4in, 4-21in tt). Two recently completed 'V' class destroyers of the Royal Navy were sunk within a few days of each other in the Gulf of Finland. On the night of the 1st, 'Vittoria' was torpedoed by Bolshevik submarine 'Pantera' off Seiskari Island some miles to the west of Kronstadt. 4th September - British destroyer 'VERULAM' (1,100t, 4-4in, 4-21in tt). Three days later "Verulam" was mined in the Gulf of Finland. 16th September - British monitors 'M-25' and 'M-27' (both 1915, 540t, 1-9.2in). By now the Allies had decided to withdraw from northern Russia. As the evacuation got underway, 'M-25' and 'M-27' of the White Sea Squadron had to be abandoned when the Dvina River water level fell. They are blown up to prevent capture by the Bolsheviks. 21st October - Russian destroyers 'GAVRIIL', 'KONSTANTIN' and 'VLADIMIR' (1916/17, 1,260t, 4-4in, 9-18in tt). As four Russian destroyers of the same class escaped from the Bolsheviks, three were lost in a British minefield off Kronstadt in the Gulf of Finland with heavy casualties. Only 'Azard' escaped. The ships were to be handed over to the Royal Navy.